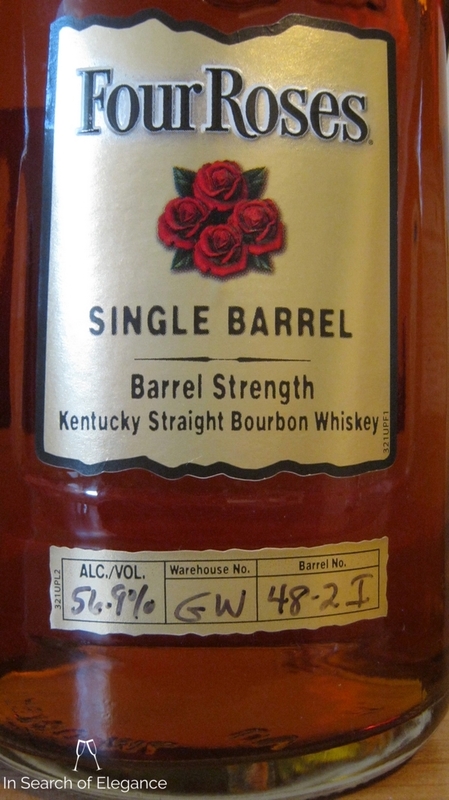 This is perhaps my favorite bourbon ever. It was sourced by MS Walker, the owner of a small and terrific whisky shop in Boston. As much as Four Roses talks of Seagrams as the destroyer of their brand (fair enough) and producer of "rotgut" whisky - much of the DNA of Four Roses, indeed, what makes Four Roses great - is because of Seagrams. The yeasts at Four Roses came from Seagram - they combined yeasts from various distilleries so that more variables could be used to fine tune blends (indeed, 10 recipes at Four Roses). Without this blending mindset, it's unlikely that Four Roses would even be using multiple yeasts. Additionally, Four Roses uses single story warehouses - with less variability in temperature, and, thus, aging climates - useful for blends where consistency is key! This is an absolutely unbelievable bourbon. It really opens up with water. Very sweet, delicate, elegant, integrated – and a rich, rich nose. Caramel, marshmallows, macadamias, mint, orange candies, Banana, and strawberry marshmallows. Gorgeous. The palate has milk chocolate truffles, smoke, and lots of pear, mint, and lightly tannic. The finish has pear, strawberry mashmallows. The reason bourbon typically doesn’t get quite as high ratings relative to my enjoyment of it is that I just find it isn’t as complex because it’s dominated by oak. Some are more complex than others – and here is a bourbon which is that way – and perfectly so. Really opens with time, and a „wow” whisky. Exceptional (3% of whiskies I’ve reviewed to date receive this, my highest recommendation). I think the best bourbon I’ve ever tasted. Value: Very high, for just 80$.